With its wild cry and its prominent image on the dollar coin, the common loon is iconic to Canada. 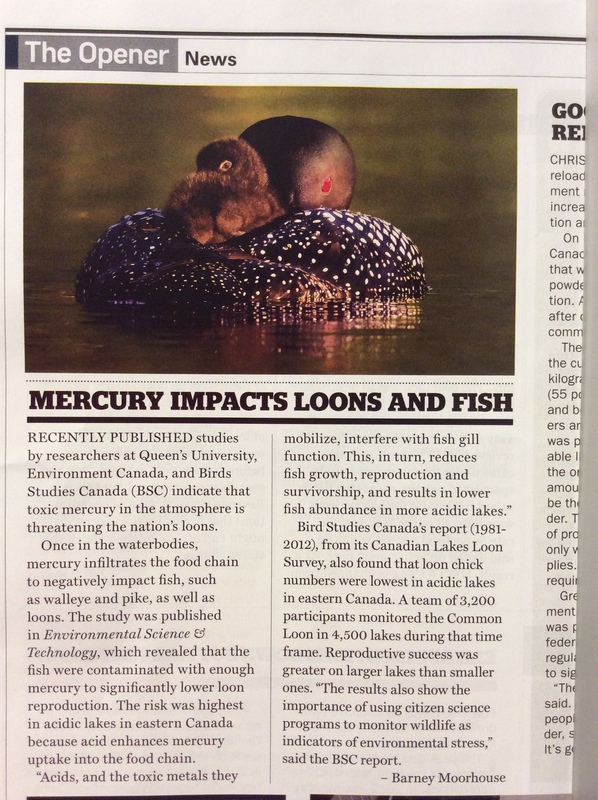 Yet, mercury contamination may be stressing our loon populations in the east. A new study co-authored by the Saint Mary’s professor indicates significant risk from mercury toxicity---not only to Canada’s iconic waterbird, but also to some varieties of sportfish. Working as part of a university-government partnership, with funds from Environment Canada, and a Discovery Grant from the National Science and Engineering Research Council of Canada, Dr. Campbell and colleagues Dr. David Depew and Neil Burgess have analysed over 230,000 records of fish mercury from Canadian lakes and rivers to produce the first map of mercury concentrations for an entire country. Dr. Campbell explains that mercury levels in aquatic wildlife are determined by a variety of factors including long-range atmospheric transport of emissions, tree cover around lakes and rivers, local soil conditions, and general geography. Once in the water, mercury is moved along through the aquatic food web, eventually affecting the health, reproduction and survival of loons and other predators. At the end of the day---this has to be good news for loons. This research was funded by an Environment Canada Clean Air Regulatory Agenda (CARA) contract supplemented by an Natural Science & Engineering Research Council Discovery Grant to Dr. Linda Campbell. Dr. David Depew carried out the bulk of the work during his postdoctoral position. 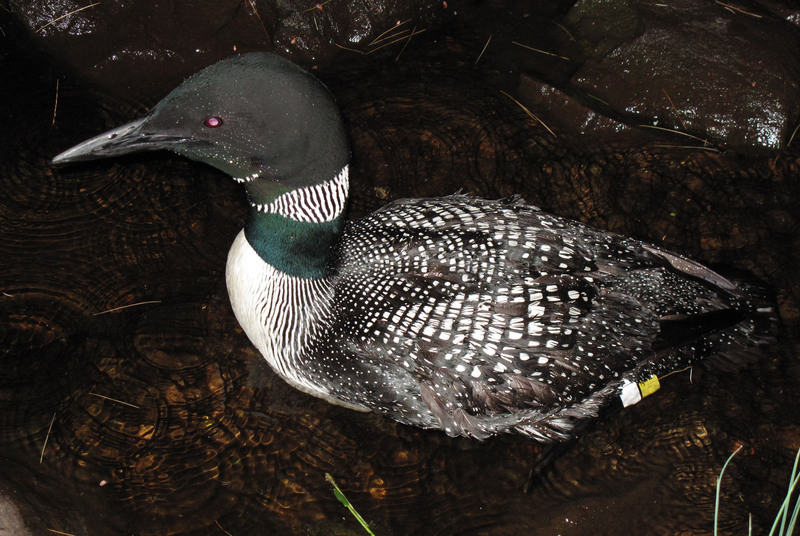 Halifax Chronicle-Herald "Mercury risk worst for loons, fish in Eastern Canada, study finds" (November 3, 2013, Clare Mellor). CBC Radio One Mainstreet Nova Scotia "Mercury and loons" (November 4, 2013, Stephanie Doucet). Rough transcription (PDF). 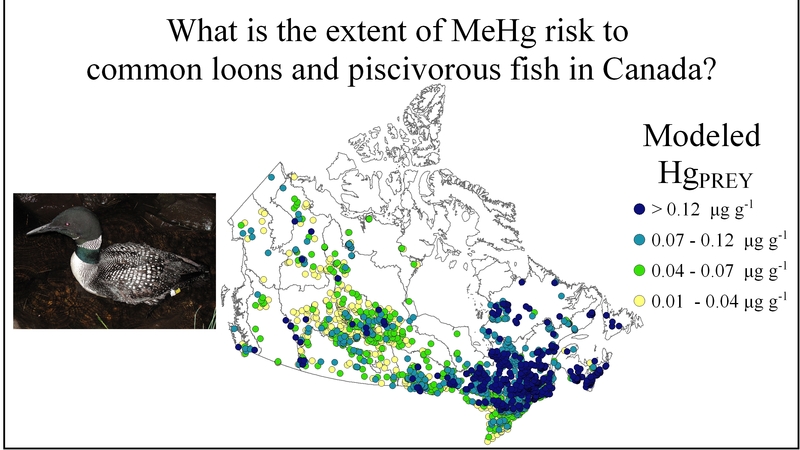 oceanbites blog "Top predators reveal the extent of mercury pollution in Canadian waters" (November 1, 2013, Samantha Decuollo) Link.